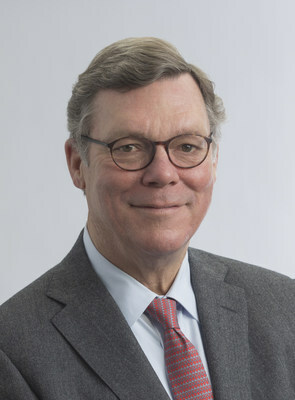 Gallagher's CEO J. Patrick Gallagher, Jr. named 2018 Hall of Fame Laureate by Katie School | Arthur J. Gallagher & Co.
ROLLING MEADOWS, Ill., Oct. 19, 2018 /PRNewswire/ -- Recognized for his industry leadership, efforts to promote and attract new talent into insurance and risk management services and civic contributions, J. Patrick "Pat" Gallagher, Jr., Chairman, President and CEO of Gallagher, a global insurance brokerage, risk management and consulting services firm, was named the 2018 Hall of Fame Laureate for Illinois State University'sKatie School of Insurance and Risk Management. "For the first time in Katie School history, we raised $1 million, and had a record attendance of 527 people at our Hall of Fame gala. The mission of the Katie School is to attract and develop talent for the growing insurance industry. One of the ways we do this is by recognizing leaders who exemplify the best of the industry and serve as inspirational role models," said Jim Jones, Executive Director, Katie School of Insurance. "Pat is the perfect example of someone you want to recognize due to his passion for the industry, business acumen, commitment to his people and ethical conduct." 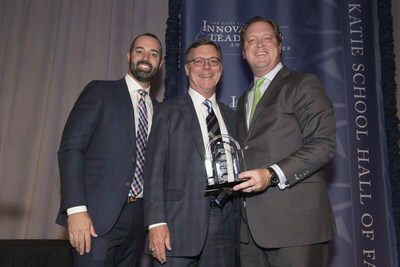 The award was presented during the Innovation & Leadership Awards dinner on Oct. 18, 2018, at the Four Seasons Hotel Chicago. The Katie School Hall of Fame Laureate is awarded to a distinguished individual in an executive position within an insurance organization. Additionally, the recipient must be recognized for significant contributions to both the industry and society, serve as a role model for the industry and inspire students to excel. Proceeds from the Hall of Fame awards dinner provide financial support to a new generation of industry leaders attending the risk management and insurance program at the Katie School. This year, more than $1 million was raised - the largest fundraiser in the history of the school. Nearly $200,000 was donated to the J. Patrick Gallagher, Jr. Endowed Scholarship Fund, created to provide financial support and attract a new generation of industry leaders. Gallagher (NYSE: AJG) is a global insurance brokerage, risk management and consulting services firm headquartered in Rolling Meadows, Illinois. The company has operations in 34 countries and offers client-service capabilities in more than 150 countries around the world through a network of correspondent brokers and consultants.